Learn the song “He Sent His Son by asking questions and getting the answers ‘sent’ to the Primary. 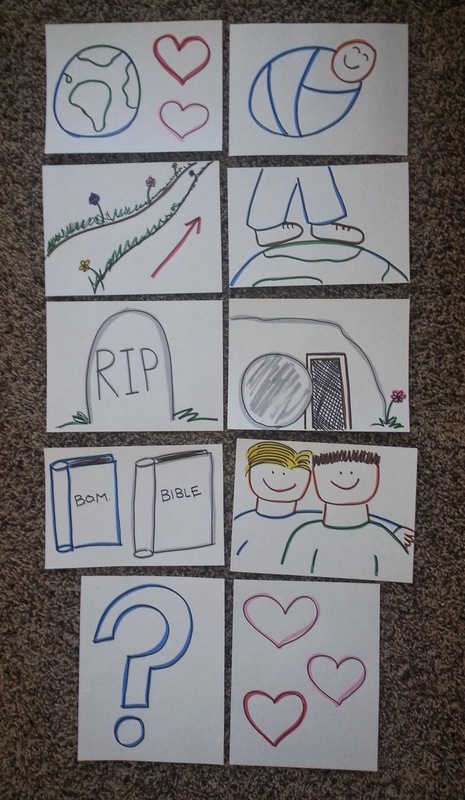 These are the hand drawn pictures I added to the text on my flipchart. 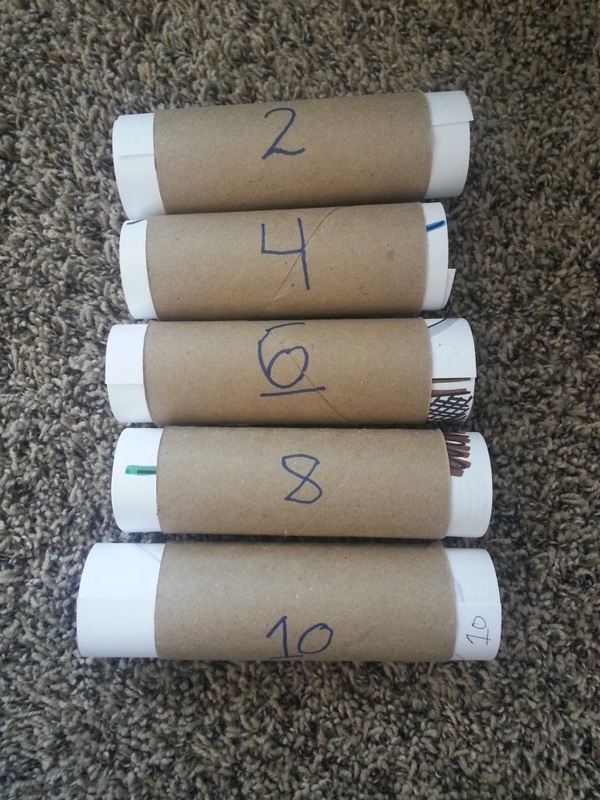 The ‘questions’ I put on the charts already, the ‘answers’ were rolled in the tubes and sent to us. This was the flip chart. The ‘question’ already had the picture. Once the ‘question’ was learned well enough, the ‘answer’ was sent in the tube via the string. 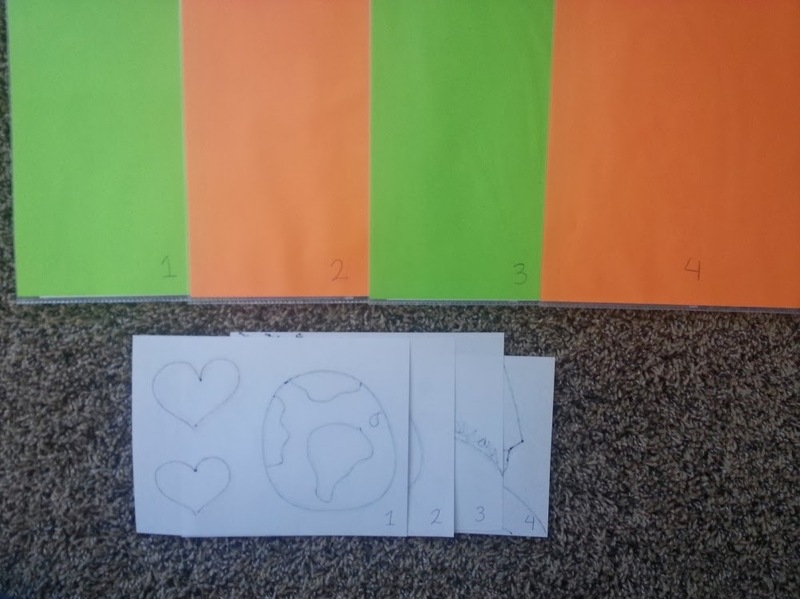 **I put the Q’s on one color paper and the A’s on another. It helped visually. ***I don’t always post ALL the words, but for some reason I did on this song. SAY: We are going to learn a new song today. Let’s listen to it first. SAY: This song is made up of questions and answers. We are going to ask questions and see if we can get the answers. What we’re doing today is kind of like prayer. You can pray to Heavenly Father and he will give you answers. Today we are going to ask questions in our singing voices and perhaps the answers will be sent to us. – Sing a few times and when it’s good enough, cue the first answer to be sent. [The answer is attached to a toilet paper tube on a string that is already set up and you have someone in on it to help you out]. Finish the verse, then SAY: We have been sent an answer! Let’s see what has been sent to us. Okay…. 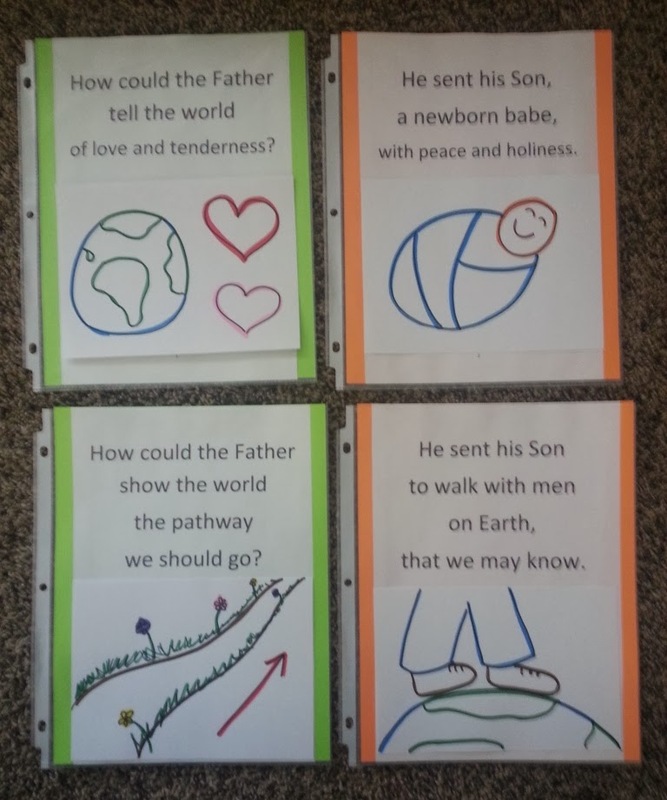 What were we asking?… (kids answer):”How could the Father tell the world of love and tenderness?”…. and the answer to that is (show picture of baby Jesus)…. “He sent his Son, a new born babe, with peace and holiness” (put picture up by the first picture). – Sing a few times and when it’s good enough, cue the second ‘answer’ to be sent. SAY: Let’s ask another question. Let’s sing and ask (put up picture of gravestone), ” How could the Father tell the world of sacrifice, of death?”– Sing a few times and when it’s good enough, cue the third ‘answer’ to be sent. – Sing a few times and when it’s good enough, cue the fourth ‘answer’ to be sent. OPEN the answer: “Have faith, have hope, live like his Son, help others on their way”. (put picture up of faith/hope/help). SAY: This is our last question… it’s a really short one. Think we can do it? … “What does he ask?” (put up picture of question mark)– Sing a few times and when it’s good enough, cue the fourth ‘answer’ to be sent.